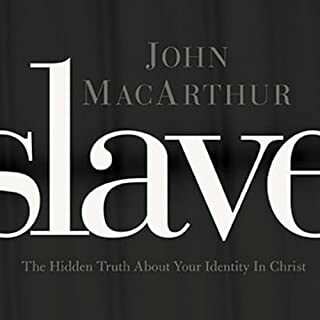 Bottom line: I like John MacArthur as a public speaker. His written material is very good as is his public ministry. However, he is not a narrator for audio books. A good narrator makes or breaks an audio book. The material in the book was very much affected by this. I'm sure there's more good material in his book but I couldn't listen past the second chapter. I endured the first chapter. I would have been better served buying a hard-copy of the book. This should have been narrated by a pro like Grover Gardner.